MyPMC is your dashboard; use it to manage your PMC logistics and fundraising. Customize your profile page, manage your contacts, utilize PMC email templates, track your donations and more. Use the MyPMC Login at the top of the page to access or create your account. The PMC app makes managing your fundraising and logistics a breeze. Use PMC logos to fundraise and promote your participation; any other use requires the express written consent to the Pan-Mass Challenge. The PMC accepts checks made out to the Pan-Mass Challenge, PMC, Jimmy Fund and/or Dana-Farber Cancer Institute. If a check is made out to you, endorse it and sign it over to the PMC. Write your egift ID on the memo line of the check. Do not mail cash. If a sponsor gives you cash, write a personal check and make note of the donor’s name and address or make an online donation in the donor’s name. The PMC has made a sustainable decision to no longer mail deposit labels to riders. PMC fundraising represents more than 43 percent of Dana-Farber‘s total annual unrestricted funds, but only 70 percent of our total gift is unrestricted. Unrestricted donations are vital to many critical, yet underfunded, functions and initiatives. Some PMC riders and teams, motivated by personal experience, choose to raise restricted funds. Restricted info must be submitted annually by July 15. If you do not know the above information, please contact Rebecca Shortle at DFCI. DFCI allocates 10 percent of all restricted funds to support their faculty research fund to advance Dana-Farber’s research mission. Individual donor gifts may not be restricted. Inform your donors of your restricted fundraising. 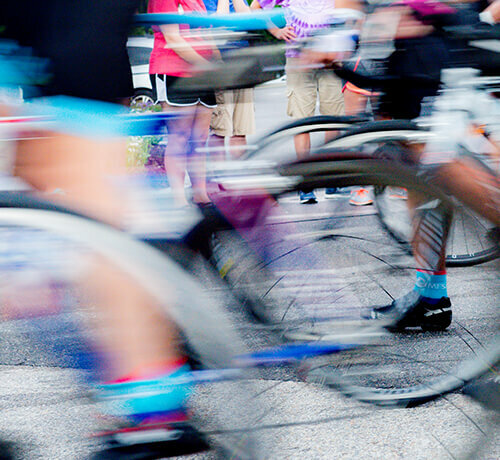 A rider’s fundraising may only be restricted to a single restricted fund.